This Chalk Ink Marker Is Sold In A Box That Comes in 8 Different Colors. Create Brilliant and Attractive Message Board with This Fluorescent Pens. 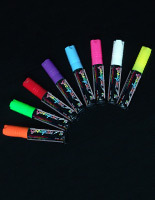 This Chalk Ink Marker will Ship Out Quickly from This Stocked Warehouse When In-Stock. Order Now! 5/8" Flat tip perfect for creating sharp and bold letters. Sold in a set that features 8 different brilliant colors for lively art. Easy-to-write, great fluidity and dries fast to create graphics quickly. 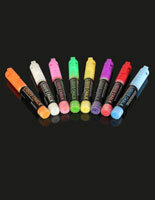 This bright stick, chalk ink marker is a great alternative to traditional dry chalks. A neon bright pen is nothing like traditional chalk that often leaves smudgy and dusty effects on your board. 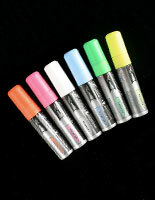 This fluorescent pen, colorful chalk ink marker gives even flow and dries fast. The 5/8" flat tip also enables users to create bold and sharp letters, making it easy for viewers to read the message. 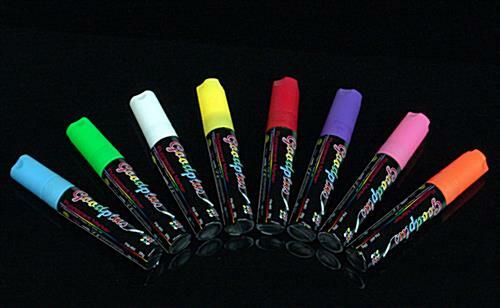 This chalk ink marker that is sold in a box comes in many different colors. 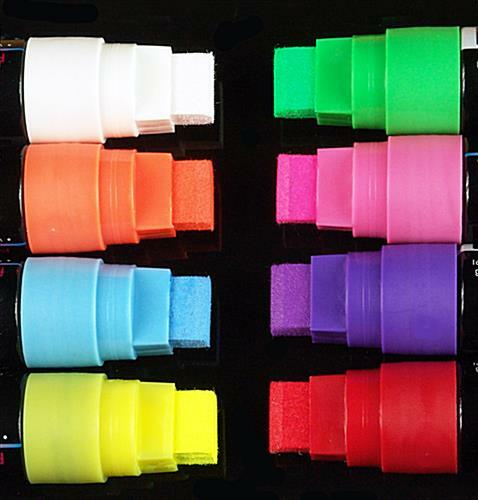 Each package consists in 8 shades; blue, white, pink, red, orange, green, yellow and purple. The bright and colorful pigment gives user the ability to make eye-catching drawings and messages. 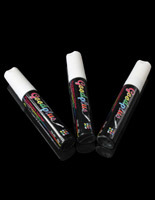 This chalk ink marker is intended for use on any even and non-porous surfaces. 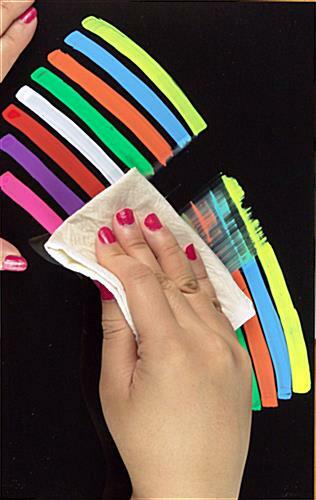 The neon bright sticks can be used on windows, glass, blackboards, whiteboards and hard plastic (acrylic). 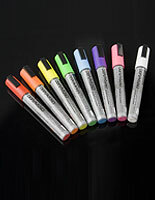 However, for the greatest effect, it is recommended that customers use this chalk ink marker set that has bright pigment on black light boxes. When the illuminated light-box is turned on, the messages will look as though it is glowing. 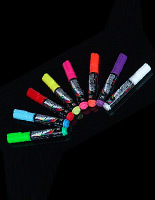 This non-toxic chalk ink marker, such as the fluorescent pen and neon bright stick, makes simple and dull advertising into an eye-catching display which passerby will be drawn to. Another great feature about this neon pen is that the powdered liquid can be easily erased. Even though, this chalk ink marker that is wet-erase can be wiped off, the pigment will not come off by just rubbing off with your fingers. Users will need to use wet or damp cloths in order to clean off the message. 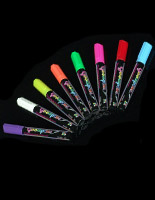 A neon liquid pen is offered in other sizes and colors as well (see the related items on the right for more options).